A damning new poll finds that just 6% of Britain’s believe Theresa May’s Brexit deal is good, compared to 63% who believe the opposite. Expectations that Britain would leave the EU with a good deal have plummeted since Article 50 was triggered two years ago. 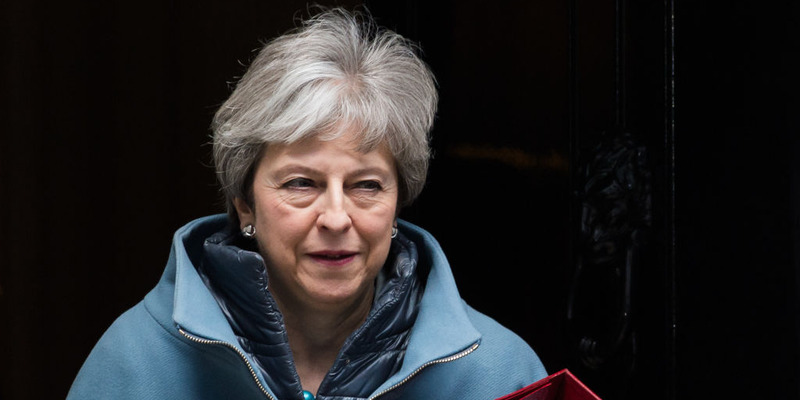 Prime Minister Theresa May has pulled plans to hold a third meaningful vote on her Brexit deal today. LONDON – Just 6% of British voters believe Theresa May secured a good Brexit deal with the EU, according to a new poll. New analysis from leading pollster John Curtice found that an overwhelming 63% of voters believe that Britain is heading for a bad deal with the EU after it leaves while just 6% expressed the contrary opinion. It comes after Theresa May pulled a vote on her Brexit deal on Tuesrday, after MPs threatened to defeat it for the third time in a row. The study, based on the most recent British Social Attitudes Survey, found optimism that Britain will secure a good deal with the EU has decreased consistently since the Article 50 process was triggered two years ago. Just before the UK’s withdrawal process began in March 2017, the public was almost evenly divided between those who believed that Britain would secure a good deal (33%) and those who anticipated a bad deal. By the summer of that year, expectations had already plummeted, with three times as many voters (57%) believing the UK would obtain a bad deal as thought it would secure a good one (17%). “Given the polarisation of attitudes, there was always a risk that the Brexit negotiations would result in an outcome that would fail to satisfy most voters,” said John Curtice, senior research fellow at NatCen Social Research. “But what, perhaps, is particularly remarkable is that Leave voters have become just as critical as Remain supporters of both the process and the outcome. Speaking on Monday, Theresa May explained that she had pulled a prospective third vote on her deal on Tuesday but hoped to bring it back later in the week. “It is with great regret that I have had to conclude that as things stand, there is still not sufficient support in the House to bring back the deal for a third meaningful vote,” the prime minister told the House of Commons on Monday. “I continue to have discussions with colleagues across the House to build support so that we can bring the vote forward this week and guarantee Brexit,” she said.